The young lady that took care of the service visit was outstanding! Friendly, intelligent, informed and knowledgeable. The service mileage indicator was never set to notify me of my service needs when we purchased the car, so it was well overdue. She made sure that the next service notification was properly set up this time so that I service the car in a more timely manner!!! Thanks, Don Williamson Nissan! She's an asset to your dealership!! Derrick was an amazing salesperson. He had a positive and energetic attitude. He answered all of my questions and I left the dealership knowing I was in good hands!! Just keep up the great work! You are phenomenal! Every time I come in, whether it be for a scheduled maintenance or something I want to add on, you give me the same great service that I experienced on day one. Thank you! 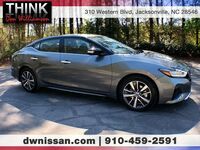 Just sharing my recent experience at Don Williamson Nissan in Jacksonville North Carolina. I worked with Derrick Davis, and I just have to say he was such a great salesman to work with! I walked into the dealership knowing exactly what I wanted and how I wanted to do it, and Derrick made it all happen for me. I am still in awe at how smooth my experience at the dealership went and I am completely in love with my brand new Nissan Maxima Platinum Edition! Buying experience was great. Tristan (Sales) and Bobby (Sales Mgr) were knowledgeable.and professional. Rob also got us through the title work, etc. quickly. We visited several dealerships and priced vehicles. 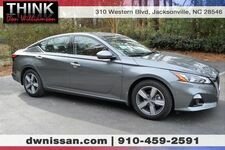 Don Williamson Nissan was the most competitive, and they also accomodated us with a few add on items for our Nissan. Recently purchased a 2013 Toyota Sequoia and was very happy with my experience. Michael Locke answered all the questions I had regarding the vehicle, trade ins, and transferring my plate. He worked really hard to make sure we were able to get a payment that was reasonable for us and making sure we had the best bang for our buck! Thank you Michael for helping us purchase our new to us vehicle! I cannot say enough complimentary things about Don Williamson Nissan. Above and beyond excellent customer service. I absolutely am blown away at how great my buying experience has been with these guys. Jamel is the best!!! Again, just above and beyond great service, all the way around. This is by far the best dealership to purchase your next vehicle from--the absolute best! Most definitely, ask for Sales Consultant Jamel Lloyd; he will take good care of you, every step of the way! What a amazing experience. Mr. Derrick Davis got me exactly what I wanted at just the right price! 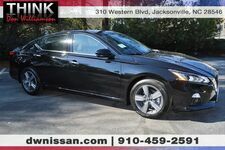 Loved it and I’d recommend Don Williamson Nissan to any of my friends or family looking for great vehicles at great prices! My husband and I have been long time customers with Don Williamson Nissan. Each time we have purchased a vehicle the experience has been a very positive experience. It is truly a place that feels like family! Recently we purchased a vehicle right after Christmas. Rob thank you for your diligence during our approval process! Jamel Loyd, a special thank you not only for your help with our purchase but most of all for your kind and caring attitude! It is important to you that your customers are satisfied with each aspect of the purchase and it means so much that you take the time to followup with us to make sure things are going well after the purchase is complete. Your professional and caring qualities will definitely bring nothing but success! Thank you to all the staff and we definitely will be back in the future! Just got done with a car deal here. I was working with Derek Davis. Had a phenomenal sale experience. Got such a great deal compared to car max, Enterprise. All pricing and details are believed to be accurate, but we do not warrant or guarantee such accuracy. The prices shown above, may vary from region to region, as will incentives, and are subject to change. Vehicle information is based off standard equipment and may vary from vehicle to vehicle. Some offers and discounts valid only when financed through Nissan Motor Acceptance Corporation. In stock units only. Call or email for complete vehicle specific information.